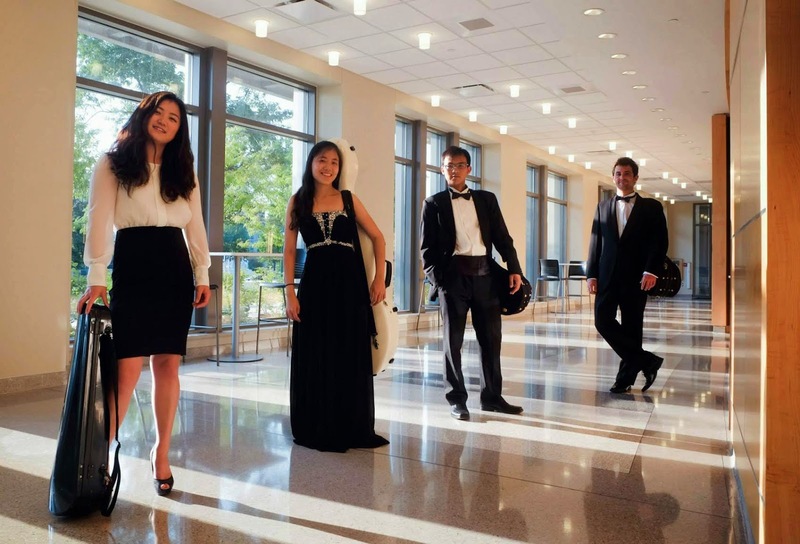 Zorá String Quartet was formed in 2013 by four students at Indiana University. Since it’s formed, they have collaborated with the Notus Contemporary Ensemble to perform pieces by the Pulitzer prize-winning composer Caroline Shaw. In the Spring of 2014, the Zorá String Quartet won an audition for a one week residency at the Beethoven Haus in Bonn, Germany, where they performed, attended seminars and studied Ludwig van Beethoven's manuscripts. They also received fellowship to spend Summer 2014 at Aspen Music Festival to work intensely with the Takács Quartet, the American String Quartet and the Pacifica Quartet. Other than that, the Zorá Quartet has also worked closely with Grigory Kalinovsky, Kevork Mardirossian, Darrett Adkins, Earl Carlyss, Yo-Yo Ma, Noah Bendix-Balgley and Keith Robinson from the Miami Quartet. In Fall 2014, Zorá started quartet in residence at Indiana University under the tutelage of the Pacifica Quartet.